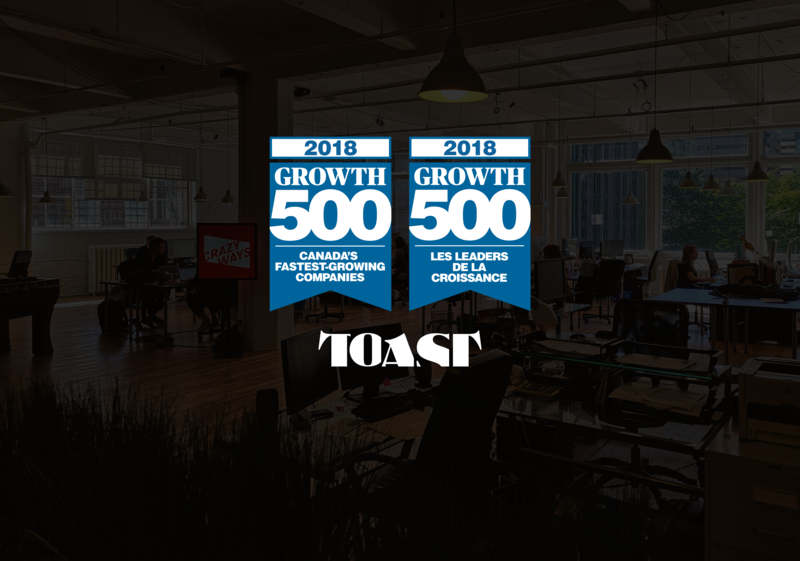 Over the past 5 years, Toast has seen its business grow by 641%, placing it 137th on the Growth 500 list. Toast was among the first content agencies in Canada to approach marketers and brands to help them structure their audience building efforts and engagement metrics. The increase in content marketing needs among them has directly contributed to the company’s growth. In addition, the creation of a television production division has created various synergies between content produced for Canadian broadcasters and that of brands working with Toast. Our recent television productions are perfect examples of this ability to develop and create variety and documentary series that take advantage of the organization’s structure. And the company’s growth will not stop there. Its development plan combines organic as well as strategic growth, with a short-term focus on Toronto, where partnerships have already been established. Founded almost 20 years ago, Toast Studio is a content agency with a team of content marketing experts at the centre of hundreds of media and marketing creators. The company assists brands and advertisers with content strategy, production, deployment, and amplification across both digital and traditional platforms. Toast Studio also produces daring audiovisual content for digital and traditional broadcasters, with a number of recent productions for major media groups. Receive our newsletter, sent every Monday morning to over 4,000 key industry players. We talk about transmedia, crossmedia, content marketing, branding, etc. We send one article to read. Just one.